27-Piece Cake Decorating Kit Just $9.99! Down From $25! You are here: Home / Great Deals / Amazon Deals / 27-Piece Cake Decorating Kit Just $9.99! Down From $25! Amazon has this 27-Piece Cake Decorating Kit for just $9.99 (Reg. $25)! 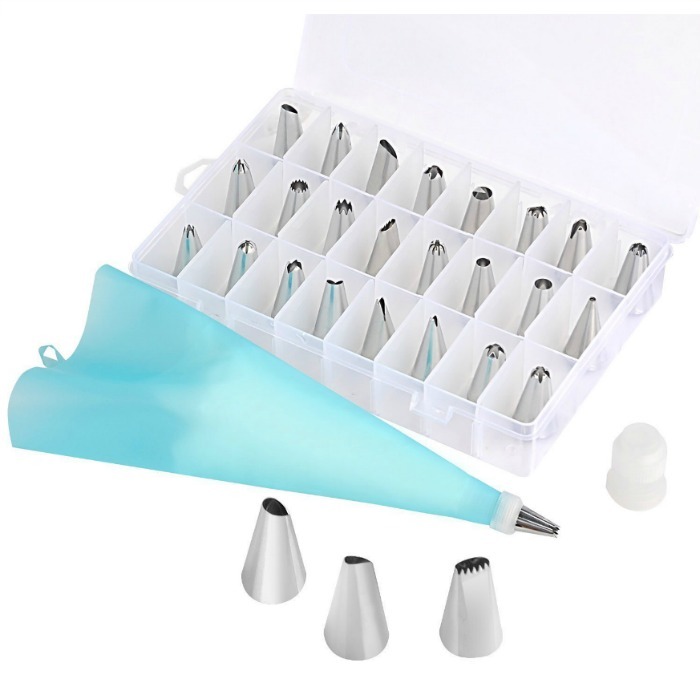 24 stainless steel tips and 2 reusable silicone pastry bag ,2 reusable plastic couplers, with which you can create all types of patterns on cake.